Our MARCH Box has LAUNCHED. Available in small thru large. Do you love surprises and hate to miss out when we launch New Arrivals? We have a solution for you! These make a great gift for yourself or a gift for someone special. 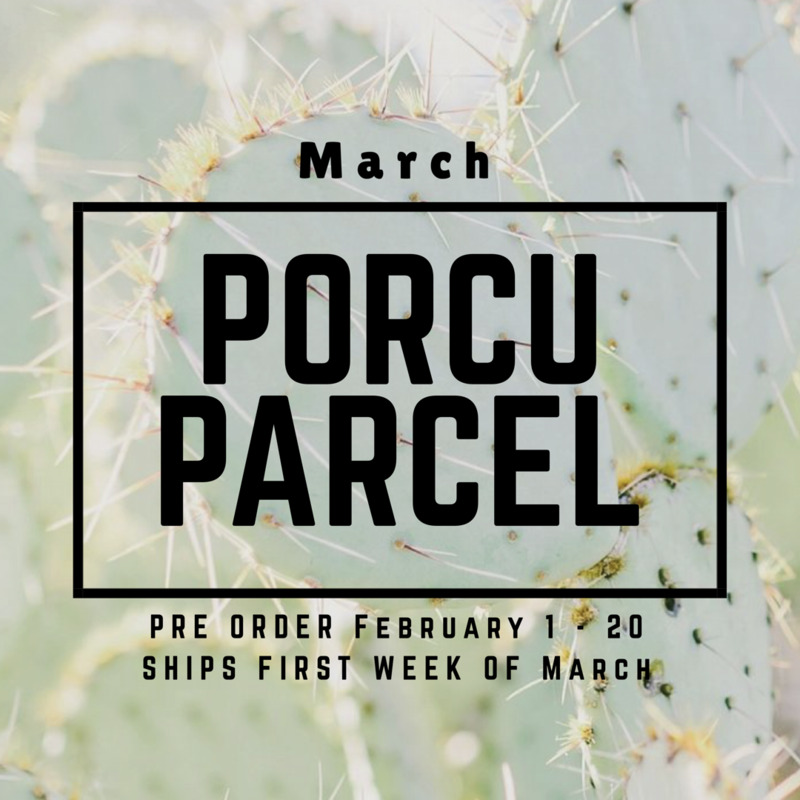 Our MARCH Porcuparcel Style Box is a must have and will ship out approximately MARCH 1st. Ordering for these closes on the 20th of FEBRUARY or when we sell out so don't wait! The Pink Porcupine Style boxes will contain a mix of new arrival clothing not yet launched so you get your hands on them first AND at a discount. Some items will be exclusive to the Style Box. 2 fun accessories and surprises with a cactus theme! Due to the nature of the boxes, we can't answer specific sizing questions but all items will fit true to size. Due to limited quantity we can not garantee size exchanges. Clothing items that are unworn with tags can be returned for online store credit at the discounted rate. This credit NEVER EXPIRES and you can use it WHENEVER you want to. Coupon codes and discounts cannot be used on Style Boxes as they are already discounted. If you order using a code, your order will be cancelled and refunded and you will have to reorder. Please feel free to use Gift Certificate Codes to purchase. This is a non subscription, no monthly commitment, gift for yourself or someone special. Remember show your Porcuparcel on social media for your chance to win discounts on future boxes!